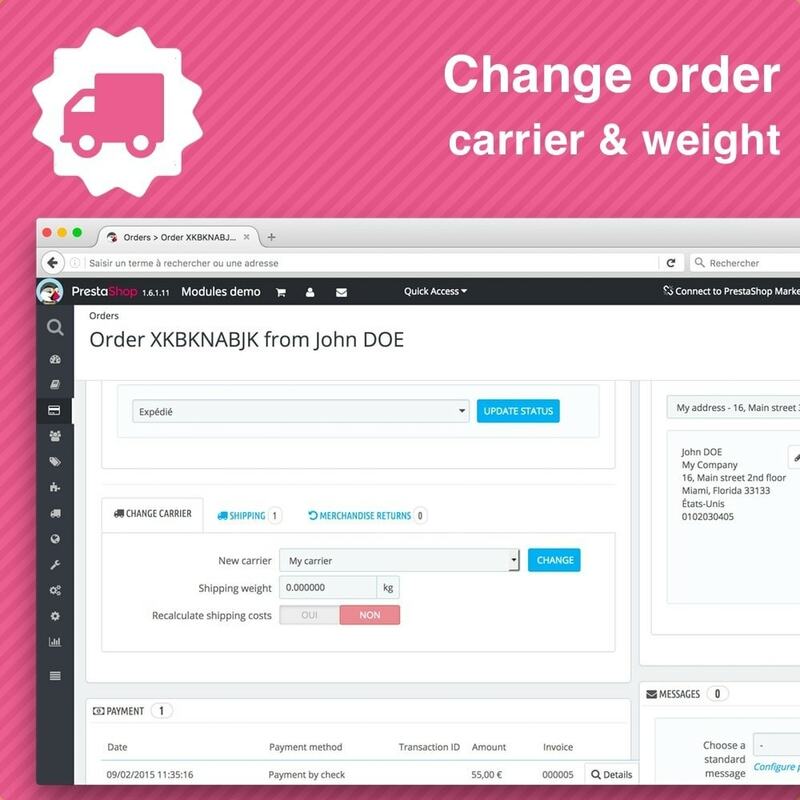 Change your order's carrier, weight or costs, directly from your back-office. 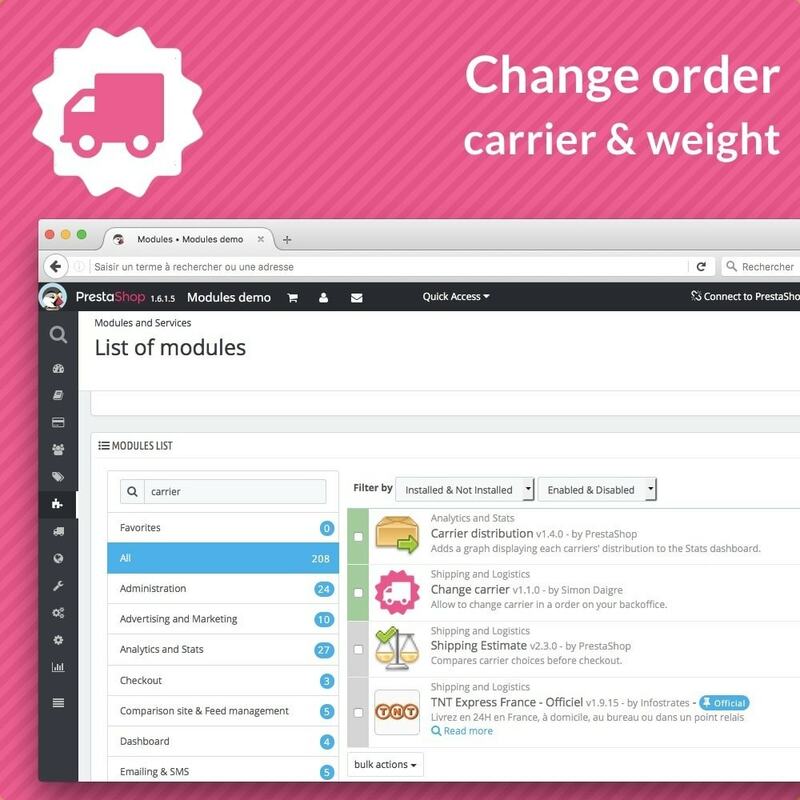 ​This module is really useful when you purpose to your customer a generic carrier, and you need to change it to let your customer informed of the real carrier. 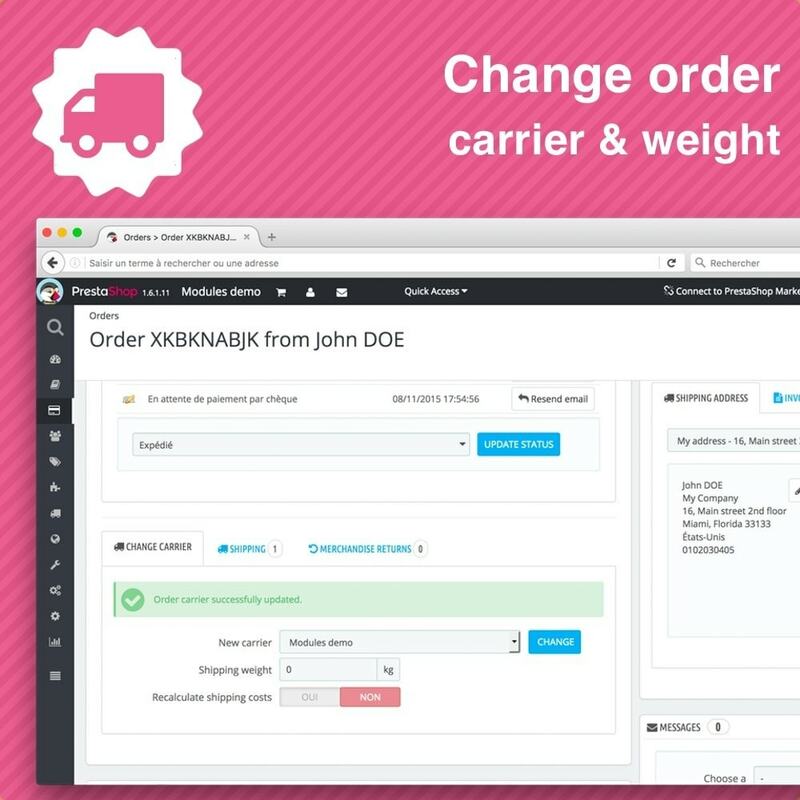 When you prepare your order, you will have a new block on each order to edit carrier easily, without editing database directly. Compatibility with external modules is not guaranteed. The documentation is provided with the module.